TORONTO, CANADA – Could NASA’s new rocket bring a probe to sample the geysers of Saturn’s moon Enceladus, or ferry human explorers to the surface of Mars? Representatives of contractor Boeing think so. They’ve put together some ideas for sending their Space Launch System to these far-flung destinations, which they presented at the International Astronautical Congress today (Oct. 1). Bear in mind that the SLS hasn’t yet flown — it’s slated for 2018 if funding lasts and the schedule holds — and the destinations below are just in the conceptual stage. The gallery below summarizes some of the destinations SLS could visit. For more information, check out this brochure by Boeing. The icy moon of Saturn is known as a hotspot for geysers; earlier this year, scientists found 101 gushers using data from the prolific Cassini probe. Using the SLS could bring a satellite there in four years, as opposed to about seven with rockets on the market today, according to Boeing. It also could carry a heavier spacecraft. Europa is known to have a subterranean ocean, and it also is capable of spewing water plumes — as researchers using the Hubble Space Telescope discovered earlier this year. The SLS could get to Europa a lot faster than a launch with an Atlas, according to Boeing — it would only take two years to fly there directly as opposed to more than six years with the Atlas, which would need to fly by Venus first to pick up some speed. 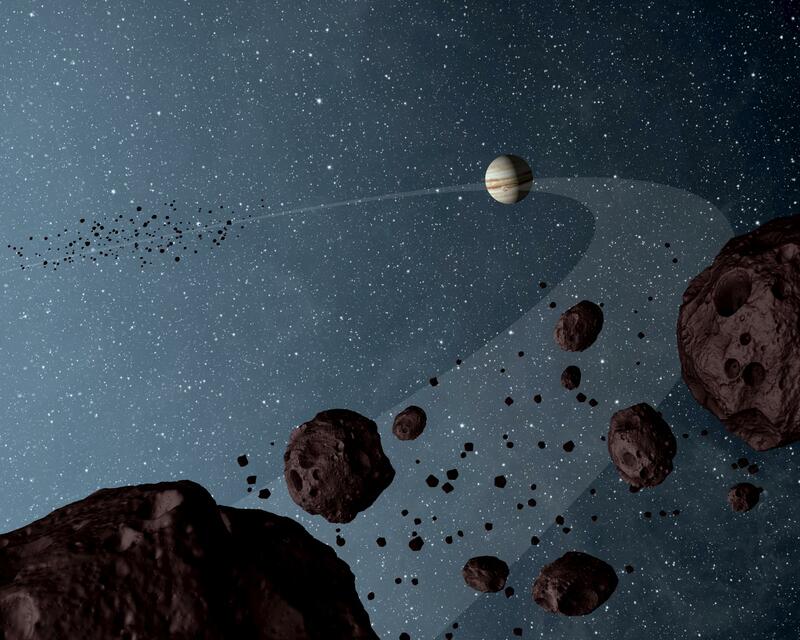 Trailing before and after Jupiter are more than a million asteroids that are called Trojans. This means any probe in the area would have no lack of targets to study, providing it had enough fuel on board. A mission profile from Boeing suggests the SLS could bring a spacecraft out there that could swing by a target at least half a dozen times. One of the largest challenges of getting to Mars is figuring out how to send all the life-support equipment and food that humans require — on top of the humans themselves! Since SLS is a heavy-lift rocket, Boeing is trying to position its rocket as the ideal one to get humans to Mars. But it remains to be seen what concept works best to get people out there. Boeing has an idea to bring a lander down to the Moon that could then lift off multiple times in search of other destinations. Such a concept would require a hefty amount of fuel and equipment. 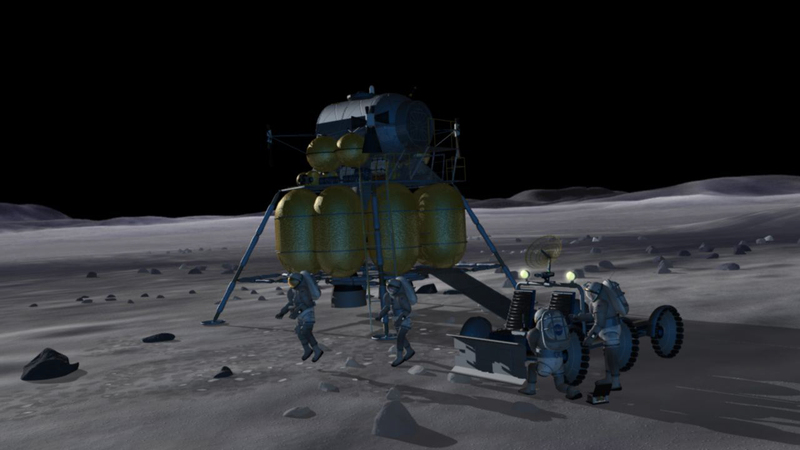 If it works, Boeing says the SLS could assist with plans for lunar mining and other exploration ideas. I’d prefer the money and resources be spent on a SSTO vehicle. Hvy launch capability is nice. We built Saturn V in the 60’s, with sliderules, after all, but SSTO will be far more useful in the long run than a Saturn V redux. I agree…. an SSTO vehicle is the way to go. Liquid H2 and O2 the best fuel.. The stats on this rocket are amazing! 70 metric tons or 154,000 lbs is quite the hauling capacity… To give you an idea of how much this is, the M1 main battle tank weighs in at 62 metric tons. Imagine accelerating that mass to earth escape velocity of 25,000 mph? The average single story wood frame house weighs approx. 50 lbs per square foot. With all it’s contents (Car too!) included would put us close to 70 tons. No, you can’t move your house to the moon. Getting the mail would be a real pain much less walking the dog… But this figure kind of gives you an idea of what this rocket will do! F.Y.I. SpaceX’s Falcon Heavy will have the ability to launch 53 metric tons at $85M for up to 6,400 kg to GTO. The SLS will launch cost $500 million per launch. Do the maths?